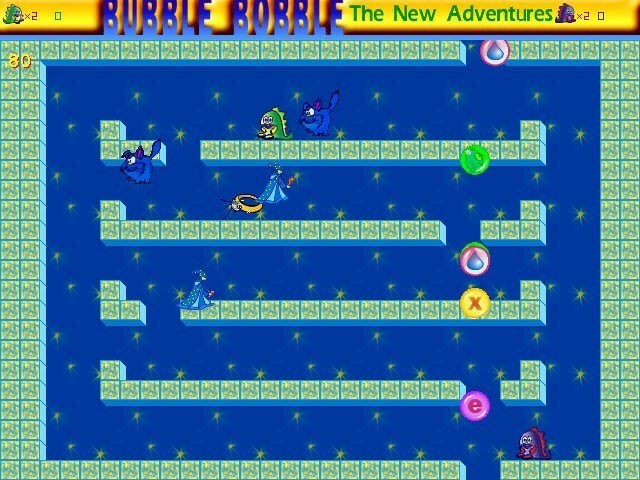 Bubble Bobble: the New Adventures is a remake of a popular classic game "Bubble Bobble". Welcome to the amazing world of the little dragons Bub and Bob! Their world filled with cunning and insidious monsters with a mission to cut their journey short. But no worries! In spite of their size the dragons are brave and clever. Plus they have a magical ability to blow bubbles, which can entangle their enemies inside of them.